Rick J. Hull is a partner in the law firm of Hull & Zimmerman, specializing in personal injury law and workers compensation law. Rick grew up in North Carolina and attended Duke University, receiving his bachelor of arts degree in 1983. 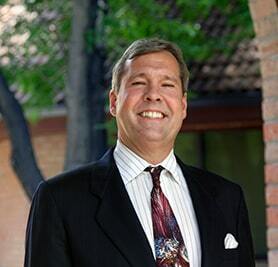 He obtained his Juris Doctorate from the University of Denver College of Law in 1986. From his earliest days as an attorney, Rick has been dedicated to protecting individuals and their rights. While employing an excellent support staff, Rick takes pride in providing a high level of individual service to all his clients, making sure he personally works on each aspect of his cases. His tenacity and dedication enable him to secure excellent results for his clients while minimizing the emotional costs associated with litigation. Rick is married to his college sweetheart and has three children. He is an involved member of the Colorado Trial Lawyers Association, the Colorado Bar Association, the Worker’s Compensation Educational Association and the American Bar Association.